Hitachi Industrial SJ700B frequency inverter outperforms on performance, capabilities and functions of its predecessor, the Hitachi L300P. 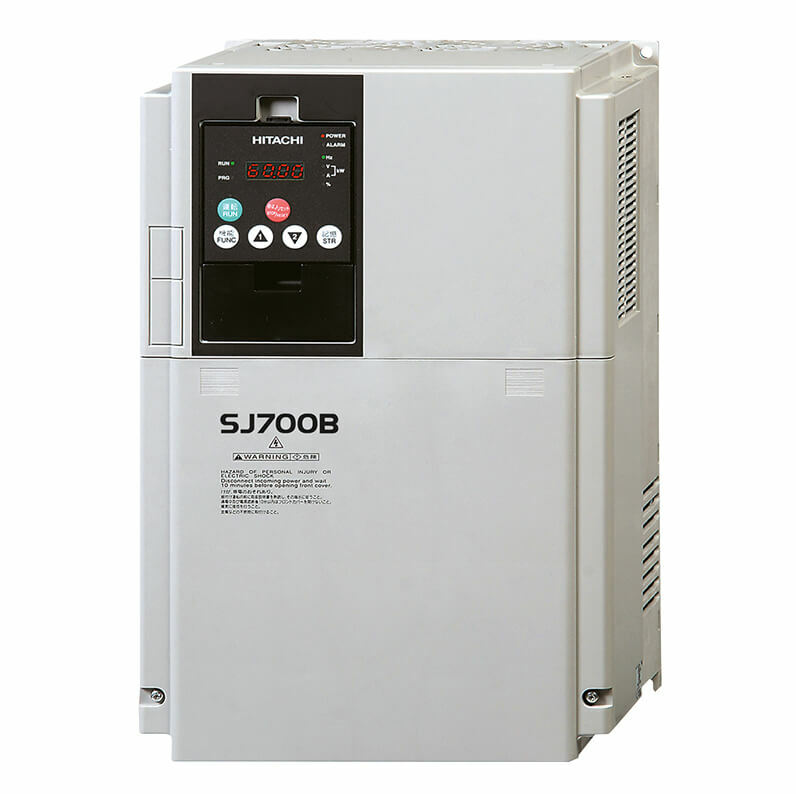 The SJ700B Series comes with improved sensorless vector control algorithm, with allows SJ700B series inverters to develop 150% torque at 0.5Hz up to 75 kW and 120 % torque at 0.5 Hz up to 160 kW, ideal for wide range of applications. Another key upgrade in the SJ700B inverters is Hitachi's EZSQ (Easy sequence) built-in programming function, which provides the functionality of a PLC built into the inverter.